Being self-generating means that it requires no mains electric to power it. You can position the machine anywhere in the home without being in proximity of a wall socket and there’s no messy cable trailing behind it either. It has the visual appeal to look good in any room as well as being fairly easy to move and store. 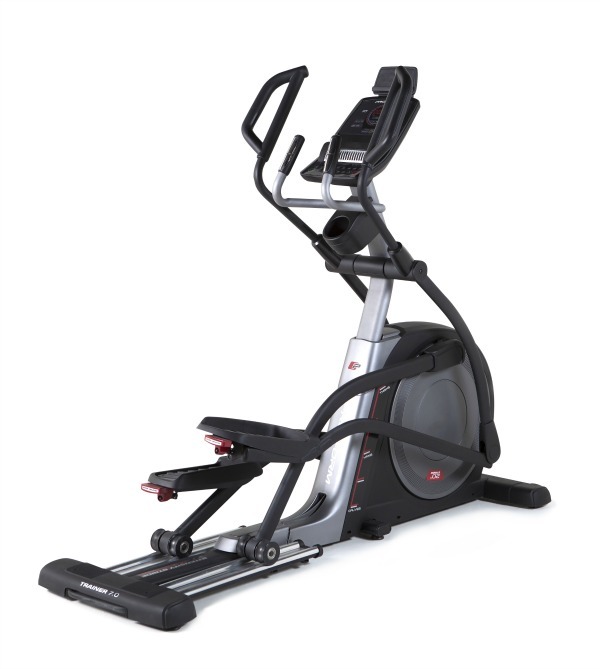 The Perform 220 can be manoeuvred by rolling it along on the front transport wheels and at under 60″ in length it won’t take up too much floor space either. So what’s it like to use? 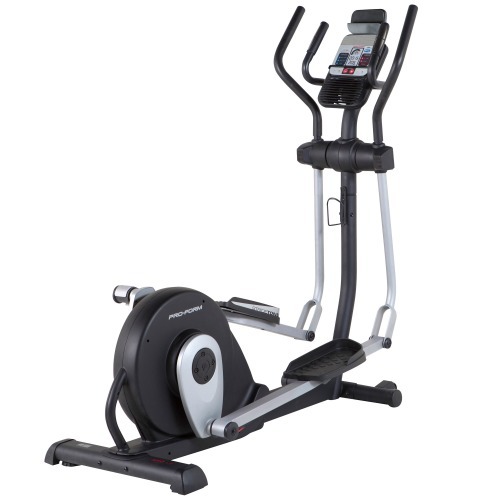 It has a 15″ stride length, which is adequate for the ‘average’ user, but if you’re over 6 feet tall then you may benefit from an elliptical with a longer stride length. For our 6’2″ tall reviewer (Charlie Rawes), the stride length did feel slightly short giving a bit of a ‘bouncy’ ride (although that is a common trait among this level of rear-driven models – and by comparison, it must be said that the motion itself is better than many we’ve tested). The 7kg flywheel weight on paper isn’t great as specifications go, but in our tests it delivered a smooth action that suggests it’s combined with other high quality components within the drive system. It’s always worth remembering that spec sheets don’t tell the whole story but they can be a good indication of general quality. 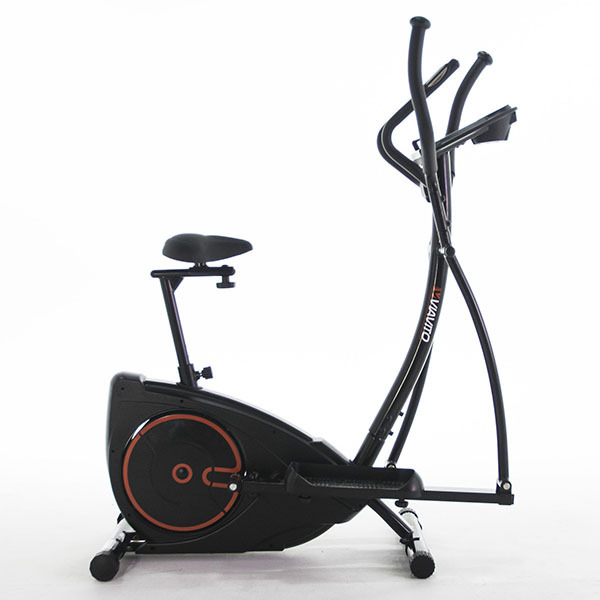 A good example of this is the maximum user capacity – it’s rated at 150kg!! (That’s just under 23 and a half stone) which suggests that York have great confidence in the durability of its construction. The console itself is clearly laid out and intuitive to use. There is a central shuttle dial that allows you to adjust levels or skip through options with the twist of a finger. The console has a 5.5″ LCD display screen which although is only single colour, the blue digits contrast clearly against the black background making it very easy to read. The clarity is also enhanced by a well thought out layout. 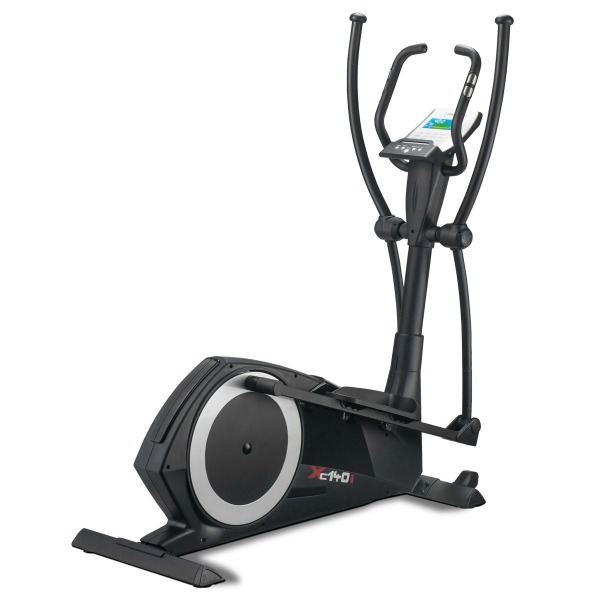 Along the bottom of the screen is a strip with dedicated areas for feedback such as time, distance, pulse rate, watts and calorie consumption. The top of the screen has a menu displaying all of the program features with handy icons for easy identification and then there’s plenty of space in the centre of the display to see the course or resistance levels. 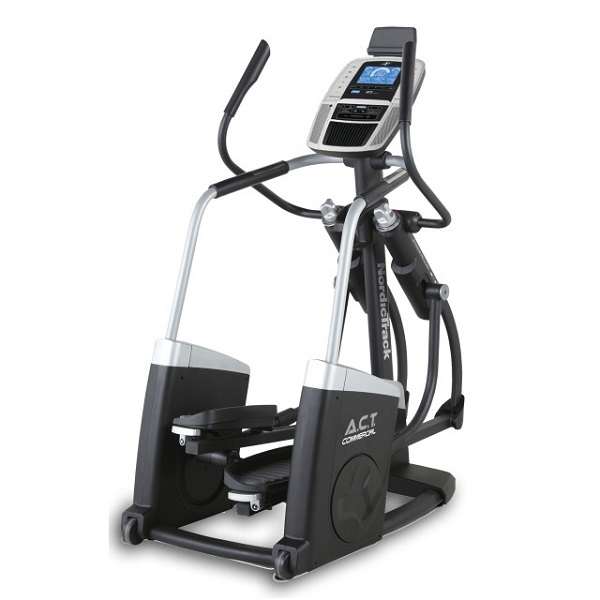 Speaking of the resistance levels brings us nicely to one of the most outstanding capabilities of the Perform 220 Crosstrainer. Whether you’re a beginner wanting a gentle session or a veteran trainer with a masochistic streak! – You’ll find what you need within the 32 Levels of resistance! 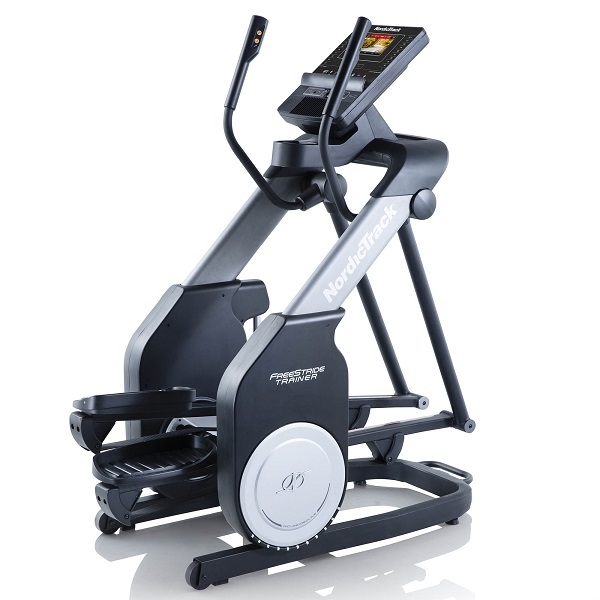 One of our biggest gripes with the Perform 220 is the absence of an inbuilt heart rate receiver. York have bestowed some fantastic features that work off of pulse monitoring yet the fact that they can only utilise the pulse grip sensors means that the accuracy of the results is somewhat compromises. That said, the programs on offer are really rather good! 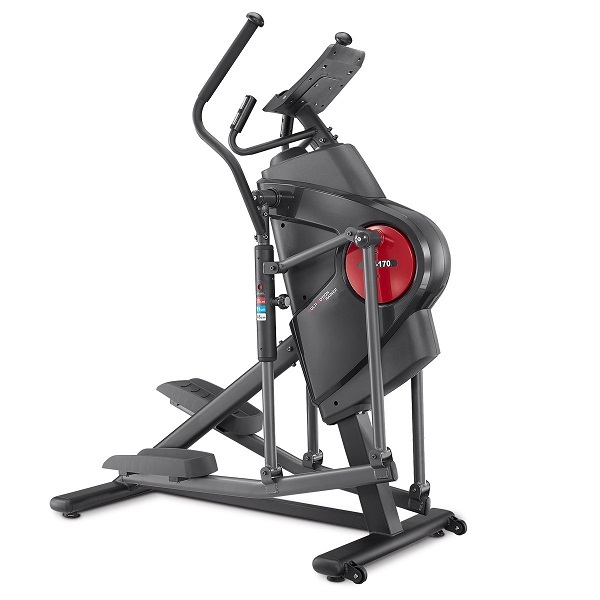 As well as 12 pre-set programs and manual option and customisable workouts to store, there are some unique options that really make the ‘Perform’ range stand out from the crowd. For anyone looking to keep an eye on their waistlines, there is a ‘Body Fat Program’. The computer can store the personal data (gender, height, weight, age) of up to four users and these details are used to give more accurate results for the user during monitoring. Using these figures and the pulse grip sensors, the computer can calculate your body fat percentage as well as your Body Mass Index. The computer also has a clever method of scoring your fitness level, by taking your pulse rate from the sensors for 60 seconds immediately after exercise. At the end of the minute countdown the display shows your score (From 1 ‘outstanding’ to 6 ‘Poor’) based upon the efficiency of your recovery rate as your pulse returns to normal. For more pulse-related programs, there’s 4 Heart rate controlled sessions too. As the term suggest, the computer controls the intensity to keep you within a pre-set heart rate zone. You have the choice of pre-sets at 55% of maximum, 75% or 90% or you can enter your own target value. Whatever the setting the resistance will alter automatically to keep you within that range. 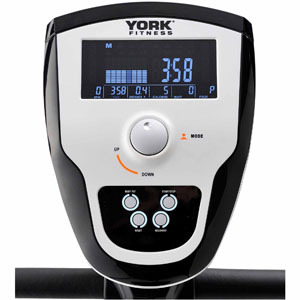 The York Perform 220 is not currently available from any retailers we're aware of in the UK. So what do we think overall? 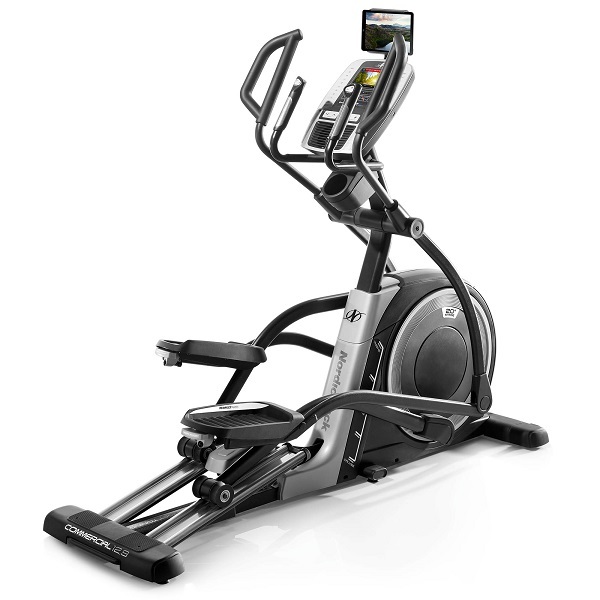 This is a well-constructed solid machine with a good array of pre-set programs and some useful, motivational ones too. 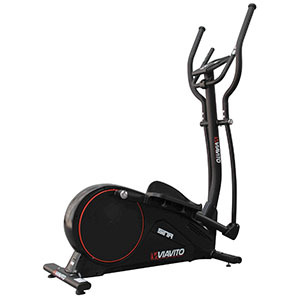 Judging the Perform 220 on its own merits, it certainly has plenty to recommend to anyone who is looking for a machine that will keep them challenged and motivated through enjoying 'results' rather than 'gadgets and gizmos'. 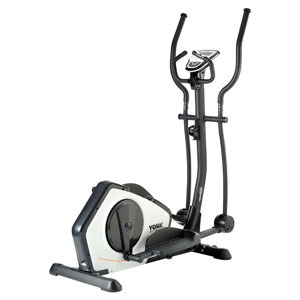 At the current offer price, the York Perform 220 is a bit of a bargain and is therefore easy to recommend! Just not as good as the cheaper York Perform 215!